King of the Cage: Final Countdown will be live in Santa Fe, New Mexico hosted by the Buffalo Thunder Resort & Casino on November 10th, 2012. 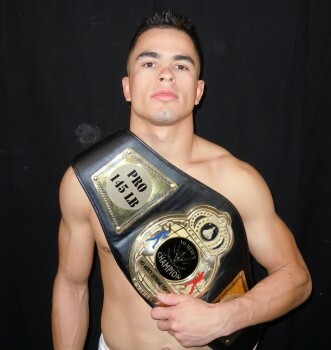 The show will mark its final event in 2012 and will be capped off in a big way with the return of one of New Mexico’s most talented fighters in Frank Baca. The show will also play host to the return of Adrian Cruz and many more locals who will be competing in the event. Rio Rancho’s Adrian Cruz (2-0) of Judgment MMA will serve as the co-main event featured fighter as he faces Derek Cranford (0-2) of Las Vegas, NV. The fight will be interesting in two different aspects, first whether the grinding, grueling pace of Cruz will be too much and secondly will Cranford’s size make a difference in the fight. The Scott Marlowe trained Cruz hits with power, throws very strong strikes and has a wrestling background to fall back on. That combination tends to spell disaster for opponents on the regional scene as Cruz is a threat to earn the knockout or dominate position for a submission or decision. In his last fight, Cruz showed that he could set a high pace and even when running towards the end of the gas tank, had what it takes to finish a fight and earned the decision win. Derek Cranford represents FT MMA in Las Vegas, Nevada and will be looking to right the ship and escape the 0-2 hole is professional career is currently at. As an amateur he was undefeated and will bring size as his advantage. Cranford is noted for competing at 145-pounds which is ten pounds higher then the bantamweight weight class Cruz fights in and the weight class the fight will be contested at on November 10th. This may indicate Cranford may be the larger man inside the cage. Cranford has stopped an opponent with strikes in his career and that “bang em’” mentality he has shown in several career fights may make him a very dangerous opponent. The fight may end up being decided by which fighter implements their advantageous game plan and for Cruz it may be to land the harder punches and get the fight to the ground where he should hold a favorable advantage grappling. I expect both fighters to fight like there is a lot on the line here as Cruz will be looking to cement a solid 2012 to improve to 3-0 as a professional and Cranford to fight as if he is backed into the corner since it will prove to be extremely difficult to climb out of the 0-3 hole he’d be in with a loss. In the evening’s main event, fan favorite and very successful bantamweight Frank Baca (15-2) will return to fight once again in New Mexico and will be favored against opponent Isaac Colon (2-2). Baca looks to gain more steam with a two fight win streak and the possibility of bigger things to come. Training out of Albuquerque’s FIT NHB, Baca has been a busy fighter as this fight marks his eighteenth. Baca’s superb cardio allows him to have a very entertaining and successful method of fighting as he mixes crisp striking with dominant wrestling. The combination has made for a successful career as the former KOTC Bantamweight Champion has had win streaks of five and nine in between two career losses. Colon will be making the trip from Denver, Colorado representing the Kongo Do gym. His record may not blow you away but what is not seen is his 6-1 amateur record and the fact in four career fights he has yet to see the seventh minute of a fight. When guys come to fight and have a finishing/finished record of 100% it becomes a very dangerous risk to take an opponent lightly. Colon will come to New Mexico knowing very well that a win over Baca puts him back on the right track. This fight undoubtedly should end emphatically and while Colon comes to play spoiler it will be Baca that more avenues to win. All three of Colon’s career losses have come via submission and while Baca isn’t recognized to be a Jiu Jitsu ace, he is a very talented grappler with superb positioning and ground and pound. Colon will have his hands full with the striking and grappling of Baca. A common theme for underdogs in this sport however is to make the fight a brawl and with four ounce gloves everyone is susceptible to being clipped. I fully expect Colon to come to New Mexico guns blazing ready for the upset and Baca looking to be diligent and methodical in his attack. The two main events featuring talented New Mexico bantamweights should be very exciting bouts sure to entertain all in attendance. Stay tuned to SWFight.com for more coverage in the days leading up to King of the Cage: Final Countdown.